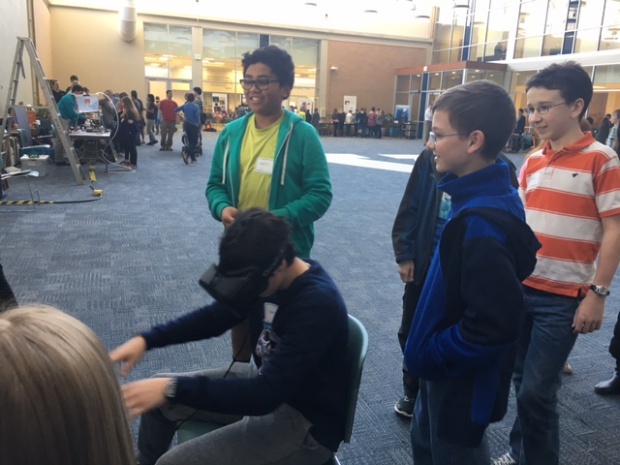 On Friday Feb. 25, both 7th and 8th grade STEM classes and TSA were invited to attend BYU’s Engineering Fair where various activities and engineering competitions were being held. 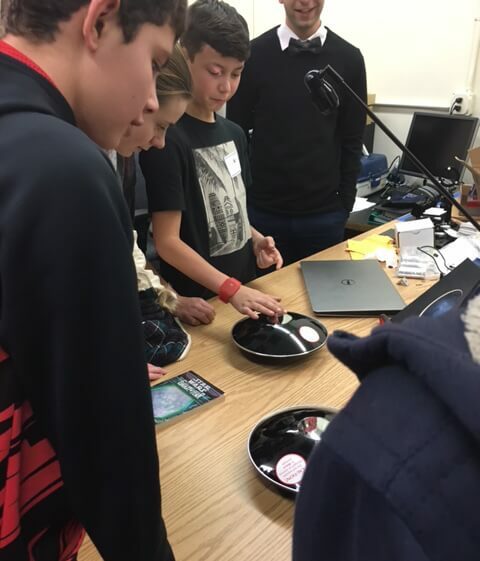 The first activity included different booths set up for students to learn about various STEM concepts, including gyroscopes, prosthetic limbs, film canister rockets, and building bridges to test using a computer. 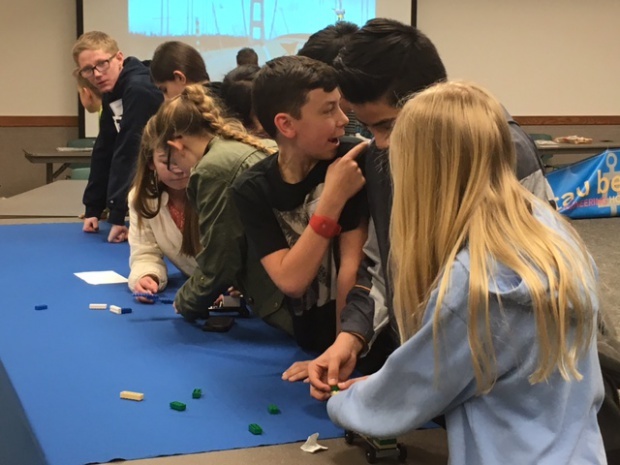 During second activity students were able to compete in various STEM competitions, such as an egg drop, bridge building, lego car racing and creating a paper airplane design. One of the teams were able to beat the record for the lego car race, making it to the end in 3.2 seconds! Math teacher Ms. Gaylord tests out a clearly entertaining device! 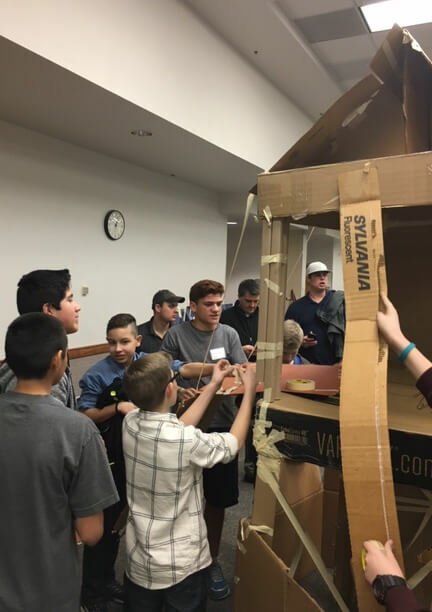 Dixon students participating in the challenge to build a structure out of cardboard. 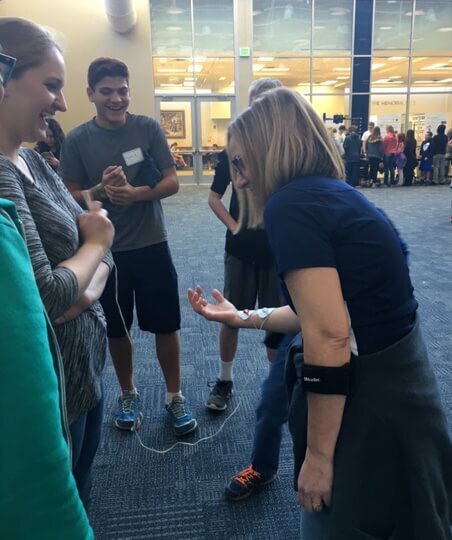 Finally, students were broken up into smaller groups and they went on a tour of the engineering department at BYU. 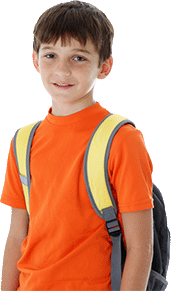 Each group visited three different locations where they learned about a different field of engineering and what it is like to be a college engineering student.